It would naturally take some time for the "Hussar craze" to contaminate the United Kingdom after sweeping over the Continent. The dash of attire and behaviour displayed on the Napoleonic battlefields in the service of France certainly made the best impression, and in due time the British Army started changing her Light Dragoon Regiments into Hussars, in dress and in title. A proud tradition was established, and British Hussars displayed their elegant uniforms both in Society and over the Battlefields of the world. Some dramatic events made the stuff of legend. The Crimean War was a milestone, for the undying glory of the Light Brigade or the subsequent drastic changes in uniform. Queen Victoria's Army counted up to 13 Hussar Regiments. I may say that they sported some of the most splendid uniforms of the time. The trademark of the Victorian British Army, Regimental particularities, makes it a pleasure scrutinizing those images of the past, on the lookout for the telltale sign that will eventually give out the sitter's regiment. Army lists and medal Rolls are the necessary companions of the researcher. 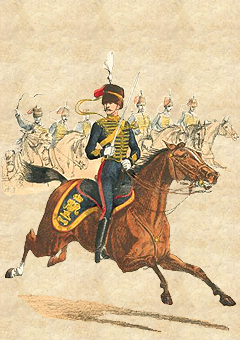 A bit more disturbing is the abundance of territorial Hussars in the Yeomanry Cavalry regiments. Uniformology resources are scarce, but a little thoroughness makes up for that. "Chase me Ladies, I'm in the Cavalry !" When a Regiment was sent to serve overseas, a Squadron would stay in England to do depôt service - training new recruits and horses, to be sent over as reinforcements when needed. The Cavalry Depôt was reorganized in Canterbury in 1871, and would gather the depôt squadrons of all the Cavalry Regiments on foreign service. The Cavalry Depôt also served as a Riding School, training the future Regimental Riding-Masters, thus ensuring a certain level of uniformity in the equestrian arts among the various Regiments. 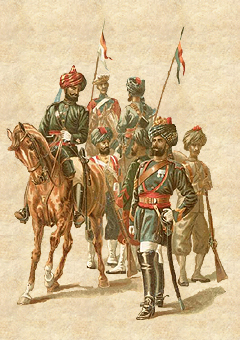 Early Yeomanry (territorial volunteer cavalry) uniforms is not as well a covered field as the regular army - but the good news are that most uniforms are quite distinctive. 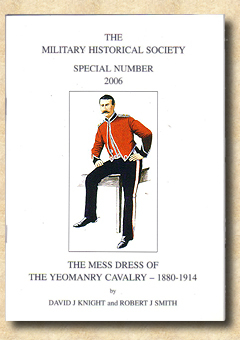 Most Yeomanry uniforms display white / silver lace, as opposed to the yellow / gold of the regulars (though there were, of course, exceptions to a rule that could never be fully enforced). When faced with a supected Yeoman, first thing is to localize the county where the photographer's studio was located. That holds the key to most identifications. The 1898 Army List lists 38 Yeomanry Regiments (not all Hussars, some styling and fitting themselves Lancers or Dragoons), plus two Irish Terrritorial Cavalry units and the London Mounted Brigade. It is therefore quite natural to mistake them for Hussars. (click on the image to the right). A few other ones are presented hereunder. Evolution of the uniform patterns ; this deceiptively small book is packed with information and illustrations ; excellent value. Packed with information and illustrations : photos, drawings and colour plates, including some reference work on lace and braid patterns ; superb work ! 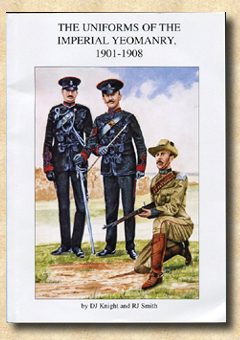 To know how the uniforms of the Yeomanry evolved, between proud traditions and the modernity brought up by the Boer War. Another excellent read on a fast moving era. 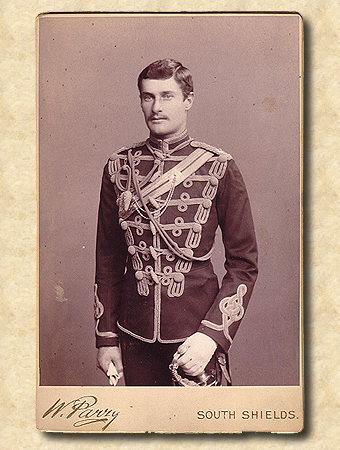 A Beautiful Collection of Period Photographs from "Soldiers of the Queen". 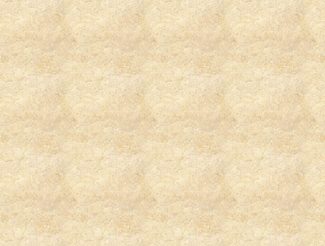 A very inspirational website - the design of mine owes MUCH to SotQ. Great stuff ! 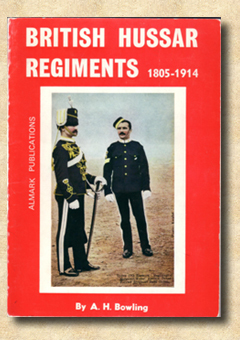 Military history and uniformology ; great reference with lots of scholarly commented pictures. I bookmarked the "Armed Forces" pages but there's more to the website. The unequalled reference for everything "British Regiment" ; not very graphic, but the greatest wealth of resources.